What to watch for during tomorrow’s test. 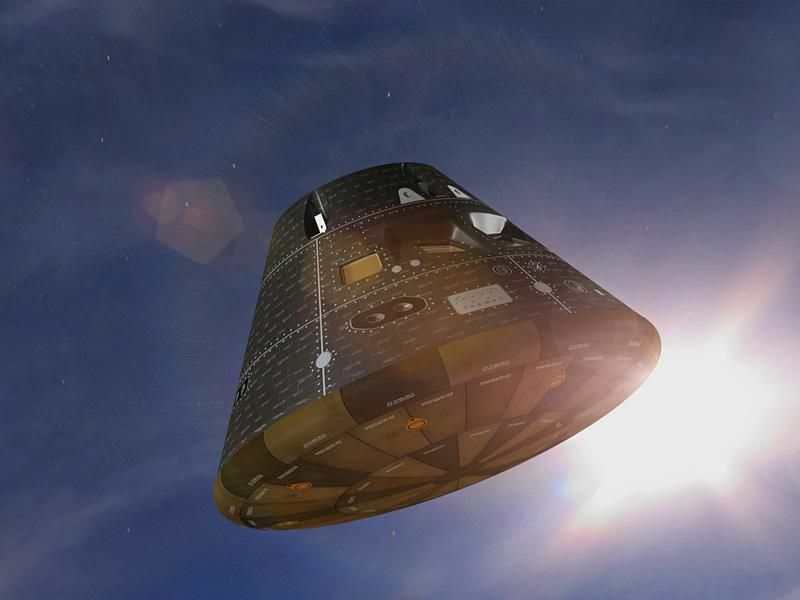 The engineers in charge of tomorrow’s first test flight of the new Orion spacecraft are no doubt sick of hearing comparisons with the Apollo program of almost 50 years ago, so I’ll just make this one quick point and move on. The so-called Exploration Flight Test-1 (EFT-1) scheduled for 7:05 a.m. Eastern time on Friday (Note updated launch date after a scrub on December 4) compares most directly to the November 1967 Apollo 4 test, which also sent an unmanned capsule thousands of miles from Earth so that it could re-enter at high velocity and verify that the spacecraft’s heat shield worked. The key difference is that Apollo 4 also marked the first flight of the giant Saturn V rocket. Orion’s ride, the Space Launch System, won’t be ready until 2018, which means the new spaceship has to wait another four years to launch again. Four years after Apollo 4, NASA had already landed eight people on the moon. But the current slow pace and uncertain course of human space exploration can’t be blamed solely on the space agency. They do what they can. So we’ll wish them luck and leave it at that. The launch won’t be from a NASA pad, but from Space Launch Complex 37 at Cape Canaveral Air Force Station, a little farther down the beach from where the space shuttle used to launch. Mission Control will be in Houston, in a recently renovated room once used by space station controllers. Mike Sarafin, NASA’s lead flight director for EFT-1, says there will be a lot of shuttle veterans in that control room, working their first flight since the last shuttle landed in 2011. “There’s a little bit of a sense of getting the band back together,” he said. In a classy nod to the even more distant past, Sarafin’s team has invited veteran flight director Gene Kranz (Apollo again!) to join them during the two-orbit test flight. The test will be well photographed. Rocket-mounted cameras will record key separation events, and a camera inside the Orion capsule will take pictures out the window, including views of Earth from the high point of the second orbit, 3,600 miles up. During entry, all sorts of ground- and air-based instruments will be watching, from a thermal imager on a P-3 Orion aircraft to cameras mounted on an Ikhana UAV.